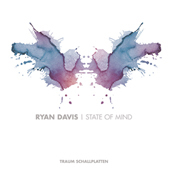 After Ryan Davis album "Particles Of Bliss" in June 2012 on Traum it was clear to everyone that he was one oft he most versatile artists on the label. There was no electronic playground he did not enter. His phanstastic and illusionary music makes him such a special artist for Traum. One year and 5 months later Ryan Davis returns with what can easily be referred to as the most powerful EP production of his to date. 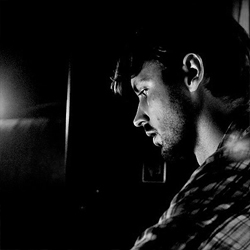 Opening the doors to newly embarked soil the EP kicks off with "Ghosts". The starting point being rather mystic & fairylike, who else would manage to twist things as the Ryan does... writing mighty synth sounds that lend heavenly sounds a hand to ascend towards immortality? If this all sounds too whimsical and grotesque to enter the dance floors around the world... count on Ryan who has achieved to transcript all of this into a clubby language. "Ghosts" is an attractive and sophisticated piece of „sculptured“ melodic techno that cuts out the cheesy bits and endless doodling often found in melodic emo music to give them an extra bit of physical strength and deepness. The second track "Drone" by definition referred to as „a continuous note or chord creating a sound“, could apply mainly to the beginning of he track, but what enfolds here in the course of this track is something really great. "Drone" is packed with compositional details and makes excursions into cinematic brilliance. It has a big quality on the emotional side which you wish every soundtrack would have, when in fact this is a piece of techno music. Ryan Davis superb track puts it next to soundtracks of Alain Delon movies if you will and what we always knew was that Ryan Davis has a brilliant understanding for writing introspective and emotional music without stealing away to borders of haziness or committing the trance music and we are referring not to the spirit but the genre. The third track "Gyration" is a brittle and haunting sound which really could appeal to lovers of of This Mortal Coil, Pale Saints or if you want it more contemporary: John Hopkins. Less on the side of guitar fuzziness but more on the side of beauty Ryan Davis is a master of pulling melodies out of nowhere always to mingle in perfection with the existing sounds. "Gyration" also has that grand sound of pop productions we know from Depeche Mode… and who… of the contemporary producers can claim that. If that was not enough of an accolade "Collider" starts with electro acoustic sounds and then puts its foot into the world of songwriting which has more in common with folk and singer-songwriting then with techno music. "Collider" is a multi-layered dreamy song reflecting on innocence and seemingly taken from an entire lifetime. Sometimes we wonder who this person Ryan Davis is. We know it is not his really name. We know he is never where you expect him to be and when you get hold on him you will only capture a slight glimpse of him.